I have written a great many reviews for Best in Fantasy over the past two years. For each post on that site, I always try to include links to the author’s website. If I am unable to locate a website for them, I link it to their Amazon Author Page, or their Goodreads Author Page. I can’t tell you how frustrating it is when I am unable to find a website to link to their review. It’s even worse when I find that their author page at Amazon is a blank canvas, and they haven’t bothered with Goodreads. I want to promote their work, but they are making it impossible. Goodreads and Amazon offer you a central place to put both your author name and links to your work– where a prospective reader can locate it all in once place. If you do nothing else, you need to take advantage of that. In real life Alison is an author, an editor, a founding member of Myrddin Publishing Group, a teacher, the mother of a pre-teen, the wife of a rocket scientist, chef–but her bio focuses on her writing. Shaun Allan is the creator of many prize winning short stories and poems. A writer of multiple genres, including horror, humour and children’s fiction, Shaun goes where the Muse takes him – even if that is kicking and screaming. Shaun lives with his one partner, two daughters, three cats and four fish! Oh, and a dog. Shaun also has a job, a family, a business, and a private life–but his bio focuses on his writing. Take a cue from these two authors and keep it simple, a little fun, and keep it short. Focus on your writing. Second: You will want to select an author photo to go with that bio. Choose one you like, and stick with it. You only have to update it every five years or so, if that often. Some authors never update it. This is William Shakespeare’s author photo on Amazon. He can get away with a cartoon, because, as a true renaissance man, he was never photographed. Go to https://authorcentral.amazon.com/ and click Join Now. If you don’t add information to a section, that section does not appear on the Author Page. Sections are always available in Author Central so you can add or change the information later. By doing this, all your books will show up in one place, and you will have ONE link to showcase ALL your work, and it includes buy buttons. If you are already a Goodreads member, make sure you are signed in. If not, sign up for an account. Search for yourself and click on your published author name. The author name is listed below the title of your book in the search results. If you are a writer but have not yet published a book, you may want to check out the writing section of your profile where you can post your writing for others to read and review. Clicking on your name takes you to your basic author profile page. This page has your name at the top and “author profile” to the right of your name. This page is part of our database of books and authors and is separate from your member profile page (which lists your bookshelves and friends). Scroll down to the bottom of the page. 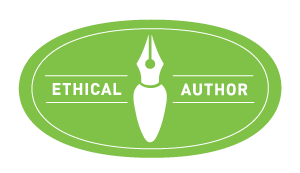 Click “Is this you?” to send a request to join the Author Program. Please give us a few days to process your request. You will receive email confirmation when we successfully upgrade your user account to an author account. Joining the program merges your author page with your member page. The email will also contain further instructions for managing your author profile. Connie J. Jasperson lives in Olympia, Washington. A vegan, she and her husband share five children, a love of good food and great music. She is active in local writing groups, an editor for Myrddin Publishing Group, and is a writing coach. She is an active member of the both the Northwest Independent Writers Association and Pacific Northwest Writers Association, and is a founding member of Myrddin Publishing Group. Music and food dominate her waking moments. When not writing or blogging she can be found with her Kindle, reading avidly. 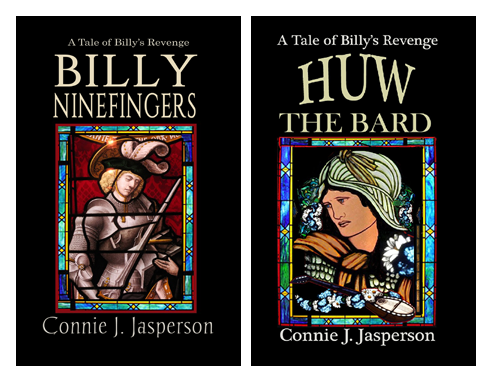 You can find her blogging on her writing life at: https://conniejjasperson.wordpress.com. For my short bio, I use this: Connie J. Jasperson lives in Olympia, Washington. A vegan, she and her husband share five children, a love of good food and great music. When not writing or blogging she can be found with her Kindle, reading avidly. We have to make it convenient for our prospective readers to find our work. Remember, your author name is your brand and your bio is your calling card. Your author photo, your bio, and your Goodreads and Amazon profiles are what will show up when your author name is googled, but only if you put them out there. Getting your name out there is your job, whether you are an indie or traditionally published. Also, YOU must make sure your bio, author photo are updated more than once every five years. These are small ways for you to connect with your readers, they take very little time, and unlike a blog, you only have to do them once and then just update them once in a while. Odd you should say that Shannon– I am putting together a four-part course as we speak! Author bios are intimidating when it’s a debut novel. Thanks for the advice.